These furs are what you think of when you hear the word "mink". They are luxurious pelted furs, which means they have grooves that looks as if pelts were sewn together for a realistic look. Absolutely beautiful furs with a wonderful sheen and beautiful feel. The pile length of these furs is approx. 5/8" and they all have guardhairs. These are all 60"wide-when we say that the pelts are a certain size-it does not mean that the piece of fur would be that size-it means that from one pelt to another is whatever measurement is stated in the description. 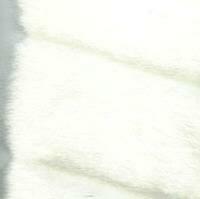 This is a very pretty white pelted mink with a very soft feel and lovely drape. The pelts are approx. three inches wide and the fur is creamy white with realistic guardhairs. It is very soft and luxurious and is popular amongst brides who do not want a bright white for their bridal accessories. 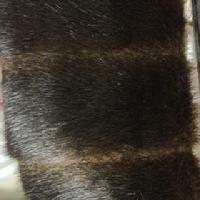 This is one of the more realistic pelted mink furs as it has a beautiful pile that has a brown base and lovely shiny black tips. 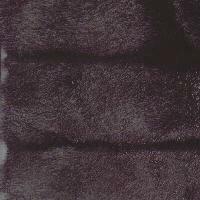 You can use this fur anywhere that a higher quality faux pelted mink is needed. The pelts are approx. three inches in width and the pile length is approx 5/8 inch, perhaps a little more. This is a really lovely fur. We are getting in another more luxurious fur in a few weeks. This is a soft, and beautiful rich black pelted mink. The pelts are approx. 3" wide. This fur would make a fantastic throw with a bright lining! Naturally, it would also make a luxurious coat, vest, collar and cuffs, etc. This is the most beautiful pelted mink around. 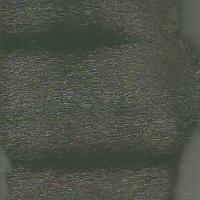 It is a warm brown with a tiny hint of black intermixed and is so soft and luxurious. You simply cannot appreciated this fur from any picture. The pelts are approx. 2.5 inches wide. This fur is a very dark brown pelted mink with pelts measuring approx. 3" wide. The fur is quite soft with a nice backing and can be used anywhere.